Work Outside And Wine Inside! Custom Hand Made Door Mats. 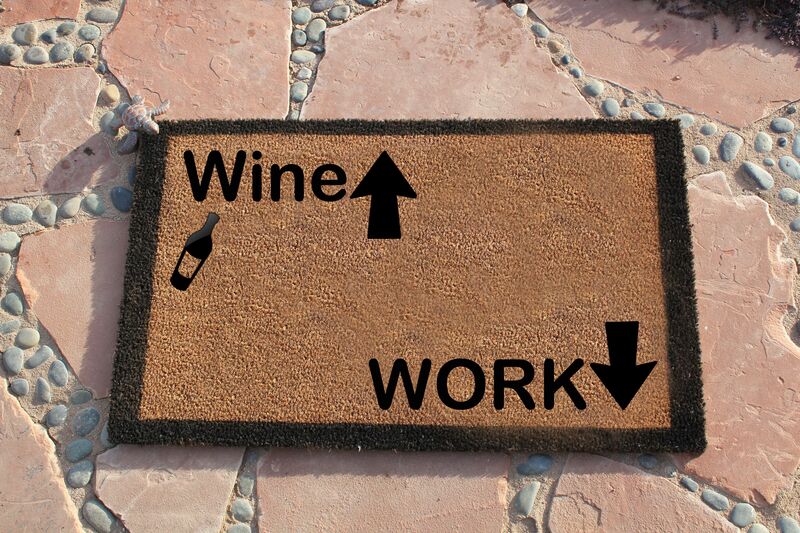 This is the wish I had some wine door mat shop! These are Beige 18 in. x 30 in. Coir and Vinyl Door Mats that have a custom Paint job on the front of them. 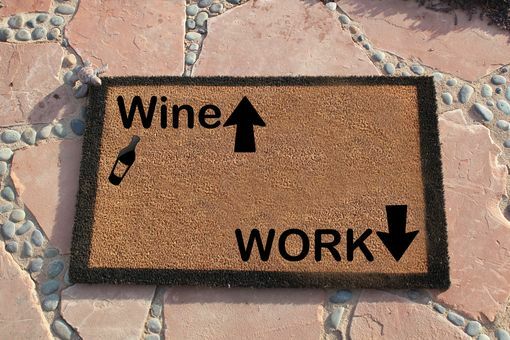 These Mats come in a range of says so check out my other FUN mats! Pictures included of my other mats! If you wish to have something different painted onto the door mat just drop us a note and we can see what we can do. The mats ship generally the next business day after the order has been placed.